Keen astronomers will no doubt have noticed that the Liverpool Telescope recently featured in an episode of the BBC's Sky at Night programme. 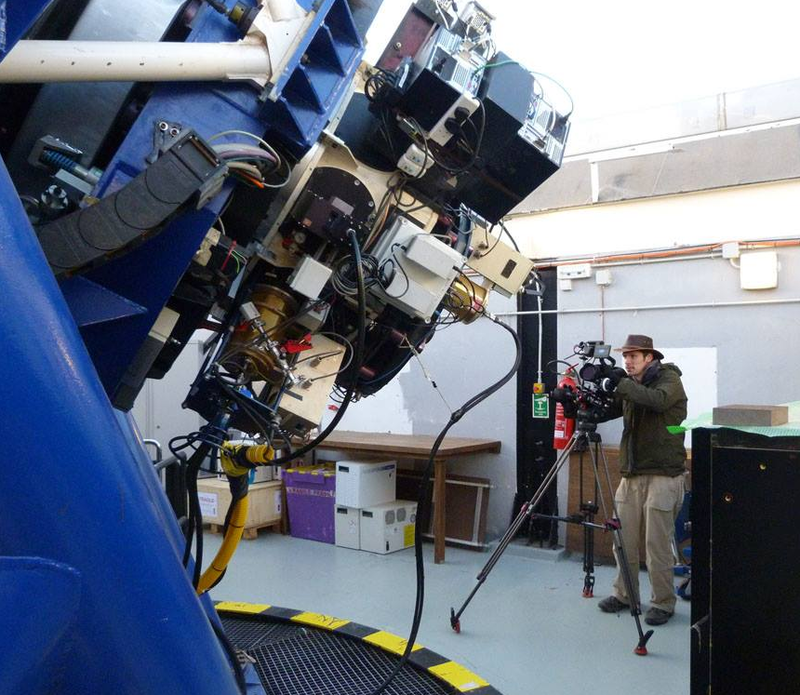 The TV crew spent a few days at both the LT and the Isaac Newton Telescope, where images and spectroscopy of Comet C/2012 S1 ISON, the so-called "Comet of the Century", were obtained. Prof. Mike Bode and Dr Jon Marchant welcomed the TV crew and a group of amateurs and professional astronomers to the LT. Mike and Jon spent a long though fruitful night observing (a rarity for the LT, which of course is fully robotic and therefore usually operates without human intervention). The BBC team, meanwhile, went about their business, and managed to get some great footage of the observatory, including some wonderful time-lapse photography of the telescope in action. The skies remained clear through most of the night. The telescope and instruments behaved flawlessly, and a considerable amount of data were obtained, on Comet ISON, but also on a couple of other comets which also featured in the show. 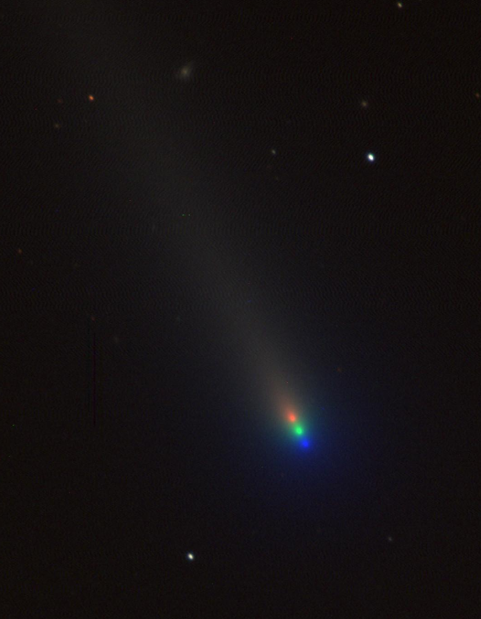 A three-colour image of Comet ISON, taken a few days before the visit of the BBC to the telescope. Data were obtained robotically through three filters (g, r and i) using the facility imager IO:O. Image credit: Liverpool Telescope. A photo showing a BBC camera man setting up to film the LT. The many instruments in use at the LT, along with their control computers and power supplies, can be seen mounted on the bottom of the telescope. For example, the two gold-coloured "barrels" are the dewars that contain the detectors and optics that comprise RATCam (left) and IO:O (right).